Can't cash out directly, need to withdraw earnings to TIQL now. This game is free to start and doesn’t require any prior Forex knowledge in order to make any money. It’s simple to learn after going through the tutorials and you can easily earn points in order to earn cash right after. Do you need be an expert at Forex? Contrary to popular belief, you do not need to be an expert at Forex, or trading in order to be successful. In Spark Profit, you are basically doing the same thing as a trader would do, by guessing if the market goes up or goes down. You win points for guessing the correct direction, and lose points if it goes the other way. Since you do not need any money to start, this is essentially risk-free. All money earned in the game will never be lost once you earn them. Only things you can lose are points which determines how much money you make at the end of the week. Before you start though, you need to be at least 18 years old for this! 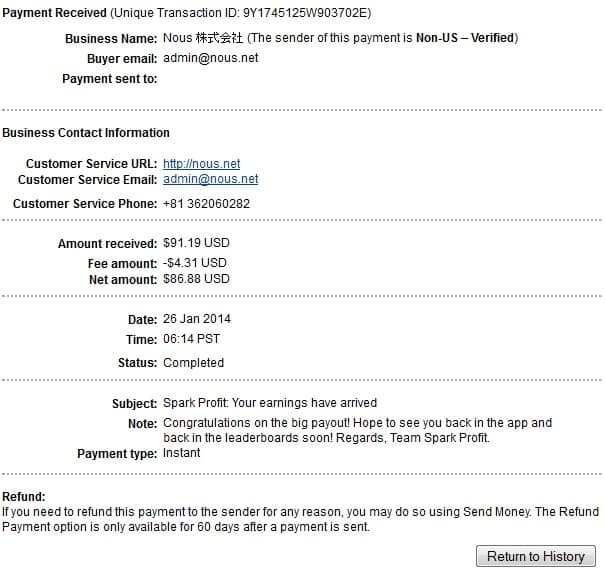 To sign up, all you need to click is the sign up tab then fill in your e-mail address (Preferably your Paypal account) and a username and you will be able to access Spark Profit immediately. 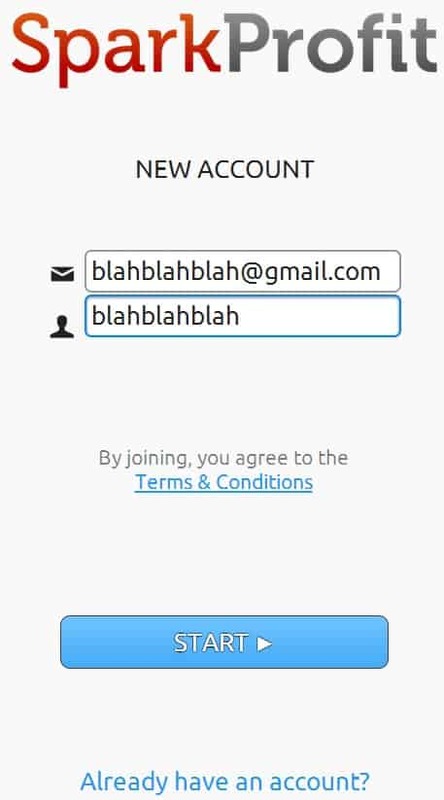 After going through the tutorial, you would need to verify your account through e-mail and your phone number. Do not worry, as I have not seen Spark Profit spam me with any messages through E-mail or phone so far. The tutorial looks something like the picture below. I would recommend reading through the whole thing so you know what you are doing, and it doesn’t take more than 5-10 minutes to grasp the concept of what you need to do. 1. Starting a game: Click on the right side of the screen beyond the vertical line. You either press above or below the blue line to guess if the market is going up or down. You need to set the take profit line (green line), and the stop loss (red line). An example below is predicting the market will go down, thus setting my green line below and red line above. There is an initial cost of points for starting a game as well. 2. Modifying a game: Click on the right side of the screen beyond the vertical when a game is in progress. You can modify your green and red line but would be unable to switch your prediction direction. 3. Stopping a game: Click the STOP button on the bottom right hand of the screen. This will secure all your points earned, or lost during the game. The only other way a game stops if the market hits either your green or red line first. This is the main page of all your currencies, commodities, and indices. You will need to read through all the notes before being able to unlock all the currencies. As of writing of this post, there are 11 markets you can choose from. 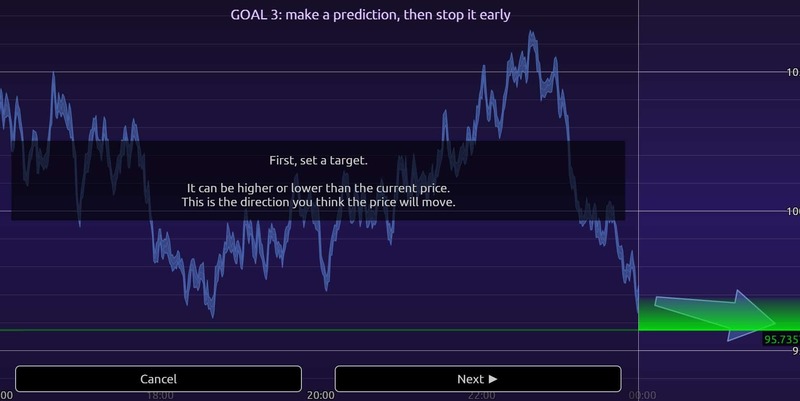 However, you can predict 6 markets max at a time, and will be unable to start a new prediction on another market unless you stop one of the current games first. An important thing to note that since the real-time market only operate on weekday, all markets will close at the end of the week and only reopen on Monday mornings. Some markets such as the Commodities (Gold, Copper, Oil) and Indices (EuroStoxx50, Nikkei225) will close for awhile during the day as well. The only exception to this rule is BTC (Bitcoin) which operates over the weekend as well. However, any game with BTC will stop when all markets close to calculate the points, but reopens shortly for predictions again. Points are earned from playing the game. The amount of points you earn and lose is based on something called Reality. When starting out Spark Profit, you start with a Reality of 10% which means that you will only lose points at 1/10th of the normal rate. This scales up to 100% when you hit 10,000 points where you gain and lose points at the same rate. This is to ensure users starting out won’t lose so much points when predicting wrongly. At the end of the week, the amount of points you have will translate to cash earnings. From the picture on the right, you can see that I have 51,233 points which will earn me $3.60 at the end of the week, assuming I still have those amount of points still. You do not ‘cash in’ points as your points retain week after week. The only thing is that there is a points decay (about 10%) at the end of the week to encourage people to play week after week. Even if you dropped to negative, you will reset to 0 points on the following week. The requirements to earn money for the week is that you need at least 20,000 points, and play at least 1 game that week. [Updated in 2017] You are unable to cash out directly to Paypal anymore, but you are required to withdraw your drawings to TIQL. TIQL is a platform that is very similar to spark profit, except that you are spending real money to play the game. If you have been practicing enough on Spark Profit and got the hang of it, you will need to stake your earnings in TIQL in order to cash out. 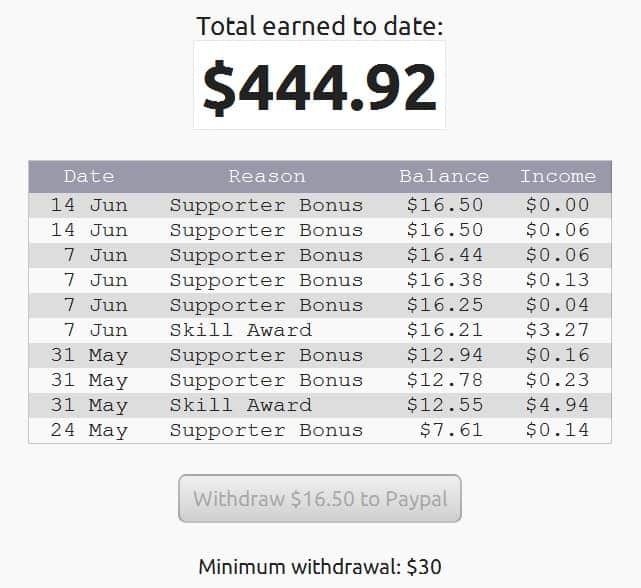 You can only cash out a maximum of $15 from SparkProfit at a time, and need a minimum of $30 in TIQL in order to cash out to Paypal. To Cash out, click the ‘Me’ tab, then go click on the Withdraw button. You will need to upload some identity documents (Either Passport, Identity card or documents) to prove that you’re using your real name. In the past, you could directly withdraw from Spark Profit straight to Paypal but that option has been removed. Below is a picture of what it looked like in the past for Sparkprofit. Spark Profit basically follows real time market, means by keeping up with the general news, you can actually make better predictions from it. As for me, I don’t really track the news much, but do know the general happenings in the world. An example would be when the US government shutdown in 2012. From this news, you would know that the US Dollar will depreciate, thus you would know how to predict properly for better chances. different directions based on the news. If you do not want to manage it so often, you can set a bigger take profit and stop loss (green and red line) so that the game will continue until it closes at the end of the week. This way, you just need a few minutes to start the game every week then leave it running to accumulate points. Spark Profit also has an app on both iOS and Android, so you can go to the respective Appstores to download it and play it from your mobile phones as well. Spark Profit has its own referral system. 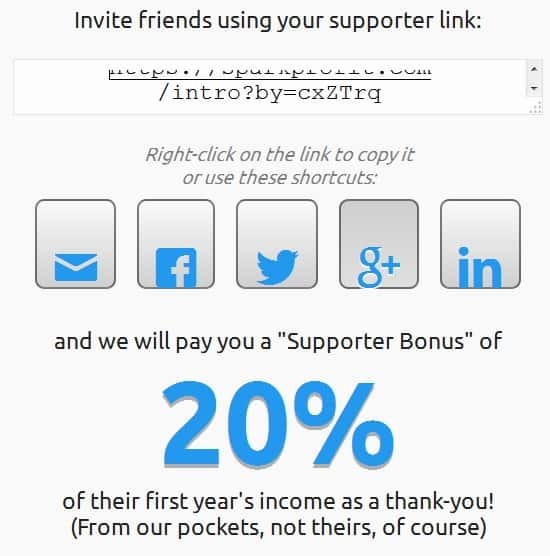 You will earn 20% of what your referrals earn, which comes out of the pocket of Nous. This means your referrals do not lose any money if they are referred by you! You can share through various social sites such as Facebook and Twitter to get your friends join you as well. 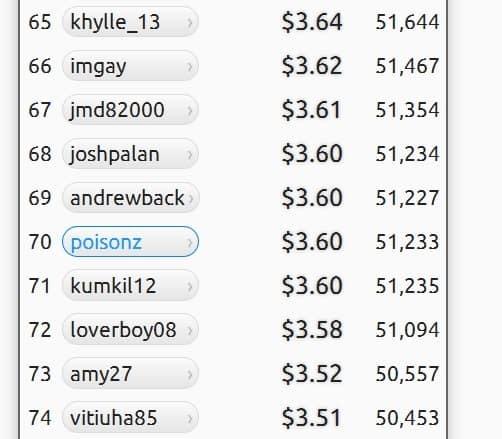 I have cashed out over $400 from Spark Profit alone, if you have noticed one of the pictures I have used above. Below is one of the biggest cash outs I have received from Spark Profit. Spark Profit is a fun way to make money while predicting the markets. For me, I got more interested in Forex and dabbled in the real one a bit (Lost all my money though, ouch). This app is a good training ground if you ever wanted to start on real trading, which of course requires way more work if you want to profit. For me, I actually average about $4 – $5 a week now, but have gone up to $25 per week before when i was top of the charts. 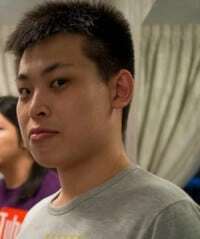 It is not a huge sum of money, but definitely very good money for something that is very passive. 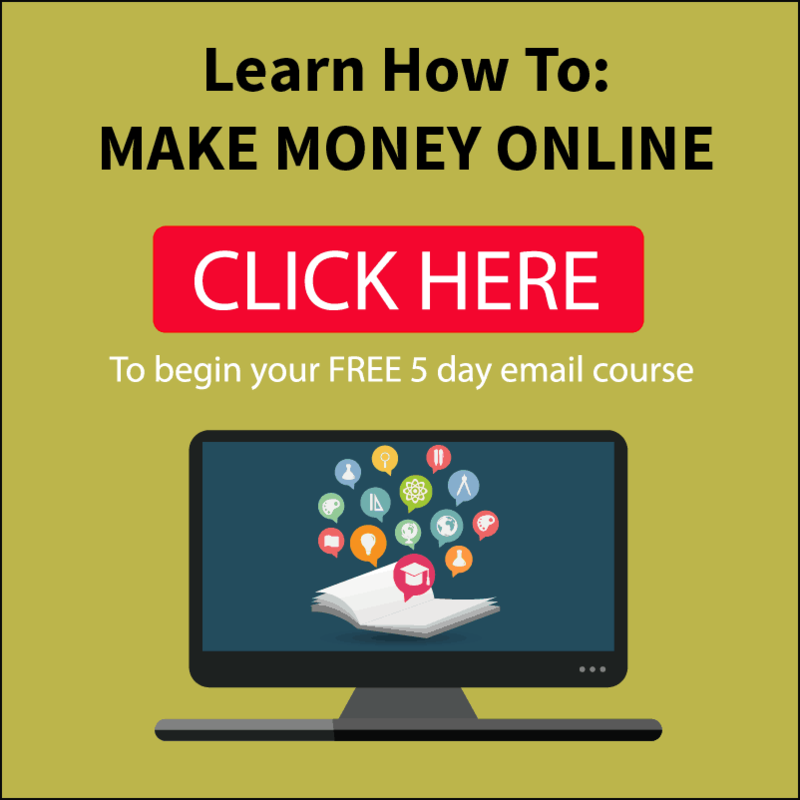 I really recommend this as once you get how it works, you would definitely start earning. MyAppAware and BestReviewApp: These websites that pay you to review apps! Wealthy Affiliate: Looking to make a full time income? Check out below! Please let me know if you need any help or just wish to comment about Spark Profit. Have you tried it before and want to share your experience? Let me know too! Very thorough and informative. If you didn’t have to be 18, it would be a great program for high school seniors to introduce them into investing. Yes, sadly that you would need to be 18 to use it (as required by law probably). But this is a great program for anyone who wish to learn a little more about forex, and easily broken down into a game you can play. Best of all, its free to start! Just feel free to sign up and go through the tutorial, you’ll definitely get the hang of it after awhile. Hey, I’ve been using this app for a few weeks now and wanted to know if there were people getting paid from it. I know it will only be a little extra but it’s still nice, and it’s more like a game rather than work. Glad I stumbled on this review. Thanks! Thanks for your comment! People are getting paid for it, but definitely those that are the top few now. The game has become more competitive really, so if you don’t have at least like 1 million score, you won’t earn much from it at the moment. Is there another way that we are always right prediction charts, for example materials that we have to collect news that our prediction is right, at least 70% right. Thank you .. The best way to predict right is the same as playing real Forex. Keeping up with the news online, and knowing what is happening around the various countries in the world. Also, reading up on analysis of other investors who have a great understanding of the market and movements too. thanks for the information, its very adequate. what site can i check? Basically, any news site that provide you the latest financial news will do. If you are really serious, then sites like Barchart could be a good source of information. Honestly speaking, I just rely on basic news to get correct predictions. I have 81414 spark profit points (which shows in the homepage top position and keeps changing while there are active games). Still it shows “you do not have earned any rewards yet” in the barrel icon of “me” page. You only get rewards at the end of the week when the market is closed on Friday based on how many points you generated for that week. After which, the barrel icon page will show you your recent earnings. Mr.torrence, my score currently is around 70,000… so how much do you think my pay for the week would be? There is a section called “this week earners ” are those the only people to get paid?? And depending on their scores will be my pay?? You will get paid as long as you get 20,000 points, even though it is not a lot (a few cents?). I would like to think of spark profit as a set once, and leave it to generate income for you end of the work. The top 100 people are the ones getting paid the most now.